Going into the third issue of this mini-series, I was curious to see what Andreyko and company would bring out to continue the fun, pulpy feel that this series has had up to date. Did they succeed? I would say it’s a mixed bag. 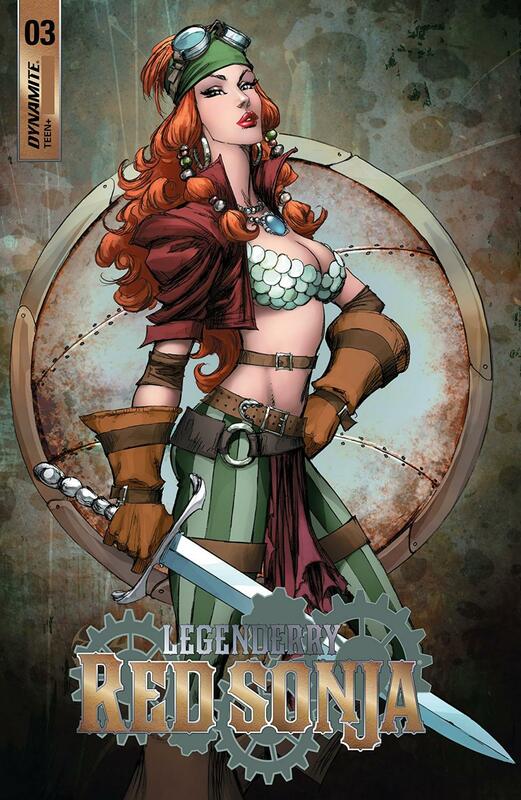 The first part of the issue is all set up that sees Miss Thorne’s father finally mounting an expedition to retrieve his daughter, Red Sonja being somewhat dismissed by a member of her crew and D’Nar explaining why they must fulfill the task of burying an unknown element that has the power to be used for incredible destruction. The whole expedition part with Red Sonja and D’Nar is pure pulp and a lot of fun. It perfectly showcases how awesome Red Sonja is: she’s a kickass woman who will take unspeakable risks to get the job done and call it a Tuesday. This is the type of characterization that is a lot of fun to see. On the other hand, the whole scene where her crew member offers to take her place because he wants to “protect” her felt out of place and quite frankly, very dismissive. She’s his captain and clearly he’s already seen her in action. Why put up that type of protest? All in all, another fun romp was had in this issue with the stakes on the rise as the families of D’Nar and Miss Thorne start to close in. Should be a fun final two issues.